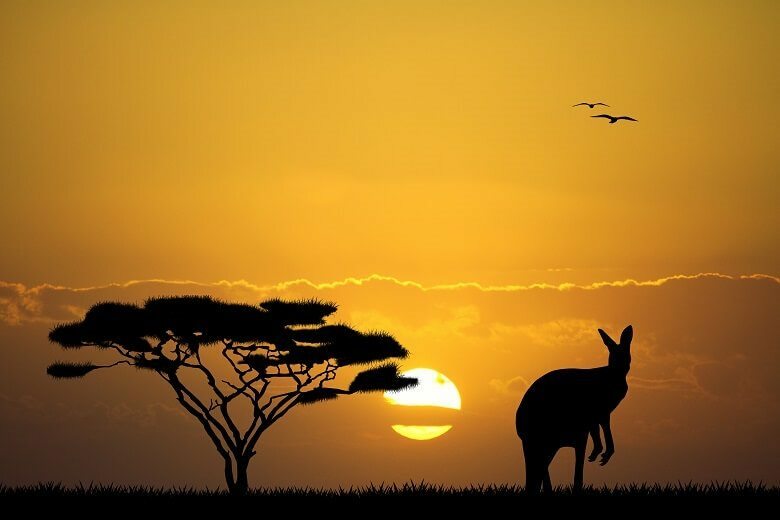 If you’re thinking of moving to Australia, there are things about life in the Land Down Under that we feel you should know about. Aussie culture is so much more than beer, barbecues and hot weather (although there is also a lot of that). We’re talking about a land of genuine variety, where you can ski and surf in the same day. Everything from the wildlife to the weather is colourful, exciting and ever so slightly dangerous. Australia is a place where no two people will have same experience, unless they follow each other round. Let us guide you through all the essentials before your big move to Oz. Australia measures more than three million square miles. To put this into perspective, it is about the size of Europe. Yes, really. If you put a map of Australia over a map of Europe, it pretty much covers the whole thing. The distance between Portugal and Ukraine is less than the distance between Perth and Sydney. It’s fair to say you need a decent supply of time and energy to see the whole country. Check out the gorgeous map. People (not you, obviously) think Australian weather is the same all over. Hot, sunny weather every day of the year in every corner of the country. This is simply not the case. When it’s summer in the south, it’s normally wet season in the north. Brisbane is generally blessed with quite a tropical climate, while Melbourne is known for having “four seasons in one day”. It even snows so much in some parts of the country that you can actually ski there (we discuss this a bit later, it’s very exciting). When sun shines in Australia, it really shines. Summer temperatures in some areas can be absolutely scorching (sometimes well over 40°C) and they’re expected to reach 50°C by 2040. Recent heat waves in Sydney have melted tarmac roads and sadly killed hundreds of baby bats. However, it’s not just the heat that’s dangerous. We humans need the Earth’s ozone layer to protect us from the sun’s harmful UV rays, but the ozone layer directly above Australia is unusually thin. This makes the Aussie sun especially powerful, which is why the 1980s ‘Slip Slop Slap’ campaign was created. If you want to stay safe, slip on a shirt, slop on some suncream and slap on a hat. And it has to be in that order. When the conditions are right, vast parts of rural Australia can light up in flames. Unfortunately, conditions are right rather often. Every year, the country experiences an average of over 50,000 bushfires. If temperatures are high and winds are strong, Australia’s dry vegetation offers perfect fuel for a fire. All it takes is for something to start it, such as a lightning storm or a ‘bushfire arsonist’ (these people are actually very common). After that, the damage can be devastating, destroying buildings, wildlife and sometimes killing people. The best thing you can do is to make sure there isn’t much natural debris around your house, so clearing fallen leaves and branches is a must. Bring your rake with you when you move. There’s a place called the Australian Alps and it gets more snowfall than Switzerland. This is a fact that Aussies love to tell people, so remember this one and you can annoy them by already knowing it. When they start to speak, just interrupt them and say “I already knew that”. Becoming an accepted member of your new Australian community will be very important. 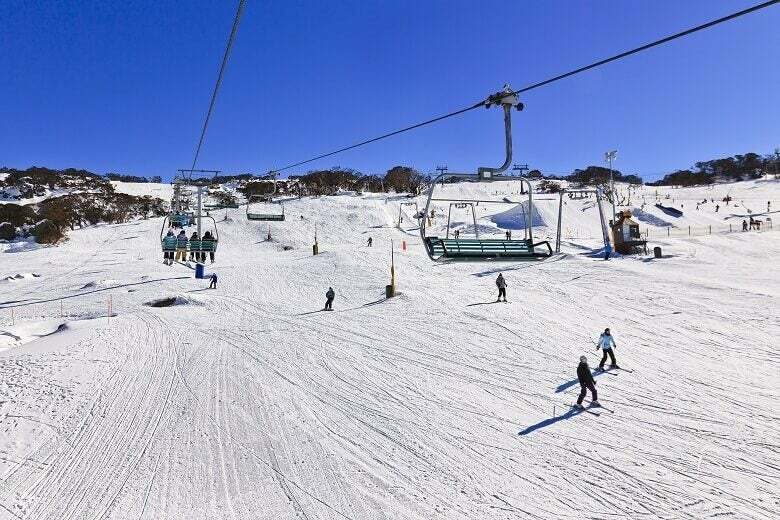 Most of the country’s ski locations are in the Southeast, such as the Perisher Resort. 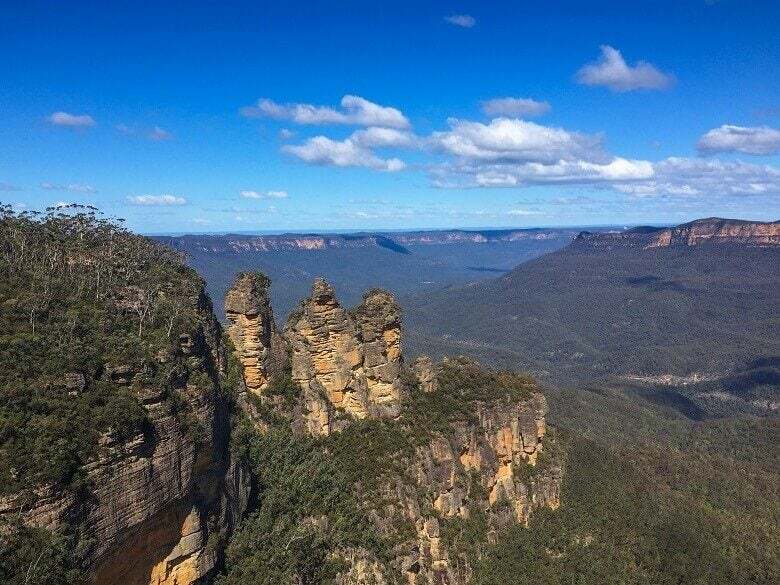 This is situated on the Snowy Mountains, between the Snowy River and the Snowy Plain (we’re not joking, those are their actual names). However, the Aussie snow levels are gradually falling, so soon these names will just be really silly. Most people know that Aussies drive on the left, but did you know that they also walk on the left? It seems like quite a sensible system so we’re surprised that more countries haven’t adopted it. In the UK, for example, the orderly road system falls apart once you’re on the pavement; you can walk on whatever side you want. But in Australia there are rules to follow when you’re on foot, thank God. Unless you’re overtaking on an escalator, keep left. It’s not a crime to walk on the right, but people will think you’re an idiot. You can’t just cross the road whenever you feel like it, unless you want to be spending the rest of your life cooling off in an Aussie prison cell. We’re joking, the penalty is actually just a fine of AUD$70, but it’s still something to be wary of. Between 2014 and 2017, over 10,000 New South Wales pedestrians were fined for jaywalking. The rules are pretty simple: you must use a designated crossing point, such as a zebra or pelican crossing. If you can’t see one, walk for miles until you can. You’ve probably noticed by now that Australia’s super laid-back reputation doesn’t really apply to walking. If you’re not going to do it properly then you should probably just stay at home. Almost 90% of Australians live in cities, so it makes sense that they get most of the attention. 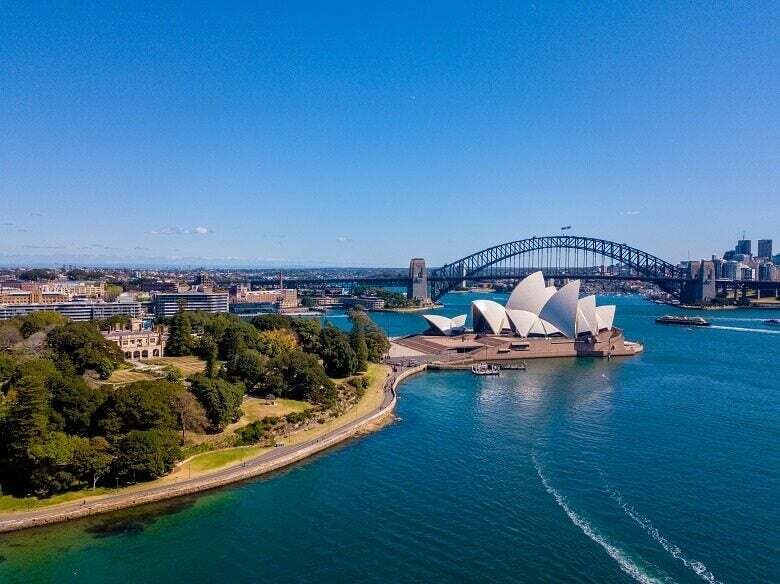 If you’re asked to think of places in Australia, Sydney and Melbourne are bound to be your first suggestions. Not anymore. Next time, you’ll say Uluru or Kata Tjuta and impress the hell out of whoever you’re talking to. There are some seriously amazing places in Australia once you get away from the cities, not least the 500+ national parks. Wilsons Promontory, the Blue Mountains and Boodjamulla are all patiently waiting for your visit. You’ll be away from the air-con for a day, but you can just bring one of those small handheld fans. It’s quite natural to believe that Australia is full of animals that are out to get you. This is a stereotype about Oz that never goes away. However, your time would be better spent worrying about other things, like sunburn and bushfires. There are certainly dangerous creatures across the country, but the statistics make for relaxing reading. Firstly, there are only two species of deadly spider in Australia and there is anti-venom for both of them. No Aussie has died from a spider bite since 1979. Stingrays have only ever killed two people in Australia (one of them was Steve Irwin). On average, there is only one unprovoked fatal shark attack each year. If these statistics aren’t soothing enough, there are precautions you can take once you’re in Australia, such as never going in the sea. For about six weeks every spring, the magpies are out to get you. We’re not kidding, these birds get super aggressive and will swoop down on any unsuspecting pedestrian or cyclist. Even if you’re suspecting, you’re probably doomed. There’s actually a website called Magpie Alert which provides a live map of all magpie attack locations in Australia. It sounds like a useful way of knowing which streets to avoid, but it will probably just make you want to stay inside. Male magpies target people from up to 80 metres away and then dive bomb them from the sky. It sounds funny but their beaks can be pretty painful. The best advice for cyclists is to attach cable ties or googly eyes to their helmets, which makes them look ridiculous. Pedestrians are encouraged to carry a stick, but they shouldn’t swing too hard; magpies have been a protected species in Australia since 1992. 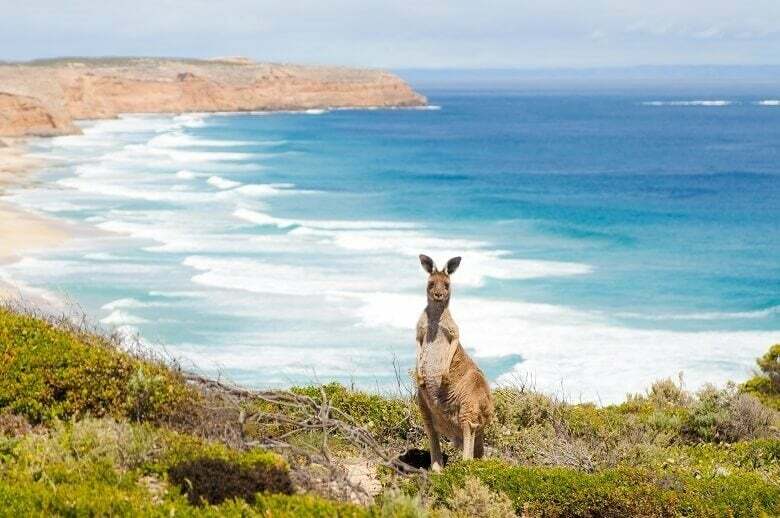 The kangaroo is an icon of Australia, so you might expect it to be treated with some special preference. They’re so strange and bouncy, after all. What’s more, joeys are one of the cutest baby mammals you’ll ever see. However, Australia’s relationship with its kangaroos is actually rather complicated. With nearly 50 million of them hopping through the outback, their effect on the ecosystem can be pretty damaging. Farmers often see their pastures devoured by kangaroos. Additionally, these animals cause regular crashes on the roads by randomly leaping in front of vehicles. As a result, the Aussies perform kangaroo culls almost every year, which is always a controversial issue. Kangaroos also feature pretty heavily on menus around Australia, with sausages (‘kanga bangers’) being a national favourite. If you’re going to be an iconic Australian animal, maybe it’s better to be a koala. Actually, being any kind of animal in Australia is probably a bad idea, unless you taste awful. Australians consume more meat than any other country in the world, chomping through nearly 93kg per person each year. This stat is pretty meaningless until you hear that the global average is around 30kg. Beef and chicken are undoubtedly the most popular, but you can also find emu, crocodile, possum and, of course, kangaroo. We were going to make a joke about vegetarians having a hard time over there, but we also found out that Australia ranks 10th in the world for number of vegetarians as a percentage of population (5.5%). So we’re not really sure what to say. The barbecue culture is so important to Australians that there are free barbecue stations dotted around parks across the country. The government has made them so available that there’s simply no excuse not to have one. The barbecues are communal facilities, so it’s a great way to get to know other families while you wait for them to finish their cooking. You can also find them on beaches, so you can finally fulfil your Australian fantasy of a barbecue on the beach. Just don’t say “throw another shrimp on the barbie” – literally nobody will laugh and they might throw you on instead. We’re surprised Vegemite hasn’t appeared on Australia’s national flag. 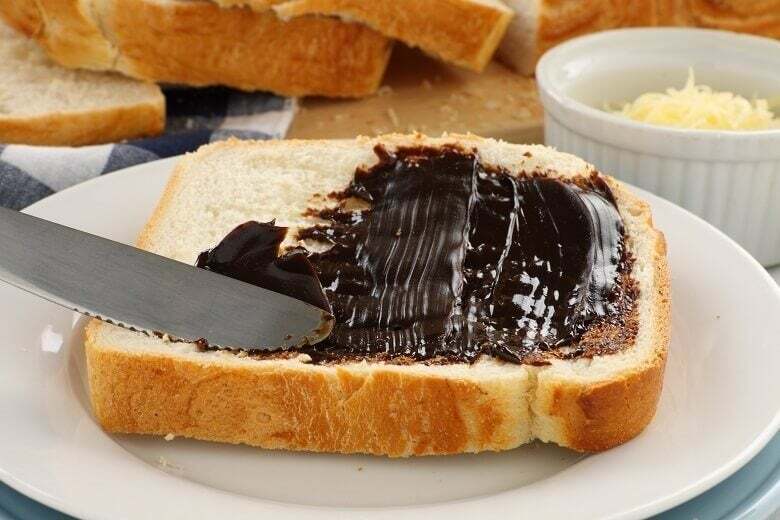 This bitter, black paste is a vital part of any typical Aussie’s life, reportedly found in 90% of all households in Oz. Vegemite was invented in 1922 as a replacement for Britain’s Marmite, although the two are slightly different. Marmite is bit more more runny, sweet and mild, so if you already hate Marmite then you will hate Vegemite. Don’t bank on getting citizenship though; people (liars) say that the final stage of an Australian citizenship test is having to eat a spoonful of Vegemite without grimacing. Every country needs their national biscuit and in Australia it’s the Tim Tam. While they’re not as common as jars of Vegemite, they’re still hugely popular; one in every two Australian households is said to contain a box of Tim Tams. In fact, more Tim Tams are eaten per capita than any other biscuit in the world, according to the National Museum of Australia – and they’re not biased or anything. In the last minute of you reading this article, a factory in New South Wales has churned out more than 3000 Tim Tams. Your new home in Australia won’t be complete until you’ve stuffed the cupboards with Vegemite and Tim Tams. You could go full Australian and eat Tim Tams with Vegemite, if you’re feeling particularly disgusting. You know you’re serious about coffee when even Starbucks can’t handle it. The company had to shut down 70% of its Australian branches back in 2008 due to competition from local coffee shops. It seems the Aussies just really, really appreciate proper artisan coffee – none of this machine-made nonsense from huge American corporations. They like to know everything about their coffee, from where it was produced to the middle name of the man who picked it. Really, what’s a cappuccino without an educated conversation with the barista? Australia has also been credited with inventing lots of modern coffee types, such as the flat white, the long macchiato and the short black. These sound impressive but they’re basically just different amounts of caffeine and milk with a new name. A bit like barbecues, healthcare is also free in Australia. It’s called Medicare, and you can use it as long as you have permanent residency. There has also been a series of lovely agreements between Australia and a few other countries, such as the UK and New Zealand, meaning temporary visitors also have access to Medicare. Obviously permanent residents have to pay for it through taxes (2% of their income), but they have no choice and it’s much cheaper than private healthcare. However, ambulance rides aren’t free, so it’s recommended you take out some ambulance insurance. Or, if you can hold it together, just get the bus to the hospital. The Aussies really care about their workers’ rights, and we think that’s just wonderful. As well as being one of the first countries to implement the 40-hour work week, they also pay the highest minimum wage in the world. Once taxes and the cost of living are taken into account, people on minimum wage in Australia are earning USD$9.54 per hour. On top of this, taxes for low-income workers aren’t very high when you compare with other developed countries around the world. Well done, Australia. English might be the official language of Australia, but there’s so much slang that you basically need to start again. As a rule of thumb, chop the second half off any word and then add an ‘o’ or ‘y’ at the end. ‘Afternoon’ becomes ‘arvo’, ‘ambulance’ becomes ‘ambo’, ‘U-turn’ becomes ‘yewy’, ‘firefighter’ becomes ‘firie’, you get the idea. There are also some really bizarre words to get your head around; if something is broken then it’s ‘cactus’, your flip-flops are called ‘thongs’ and your bedsheets are called ‘Manchester’. A rumour is a ‘furphy’ and a swim is a ‘bogey’. If someone refers to you as a ‘bogan’ or a ‘drongo’, they’re insulting you. 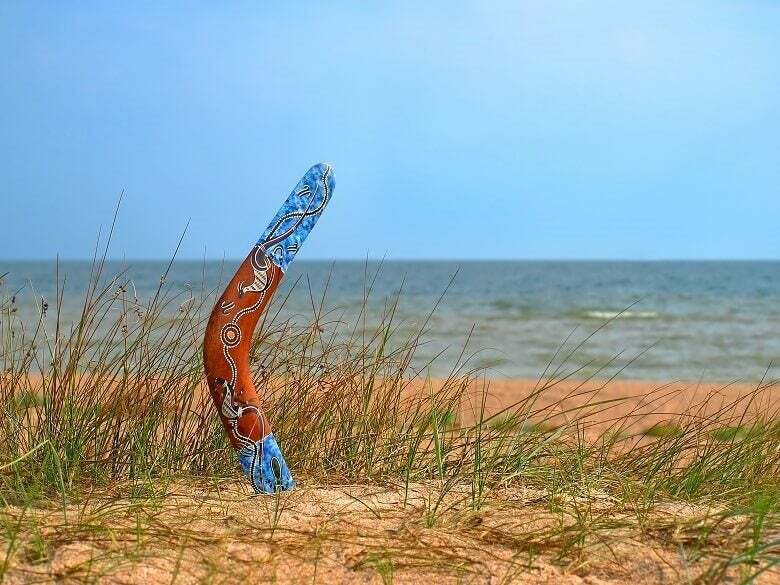 We all think of the same person when we hear the name ‘Kylie’, but in Western Australia it means ‘boomerang’. As if that word wasn’t good enough already. In English pubs, you ask for a pint and that’s that. It’s perfectly simple. Over in Oz, there’s loads more choice on offer, depending on how much you can handle. It goes like this: pot (285ml), schooner (450ml), pint (570ml) and jug (1140ml), which is obviously for sharing. However, it doesn’t stop there; in a country as big as Australia, regional variations are inevitable. For example, in South Australia, a schooner is actually called a pint, while an actual pint is known as an imperial pint. Across the country you’ll find horses (140ml), ponies (140ml), butchers (200ml), sevens (200ml), middies (285ml), schmiddies (350ml), fifteens (425ml), the list goes on forever. It really is quite ridiculous. You’ll be pleased to know that there is actually something called a glass (200ml). If you’re with an Australian friend then maybe just get them to order for you. The Australian government really don’t want their citizens to smoke, so they’ve made it extremely expensive. Smokers currently pay USD$0.7 of tax per cigarette, which is one of the highest tobacco duties in the world. It’s forecast to increase, too; every September until 2020, the tax rate will increase by 12.5%, eventually making a pack of cigarettes cost around USD$40. It’s working, too, with the adult smoking rate in Australia having almost halved since 1980. Deutsche Bank listed Melbourne and Sydney as the world’s two most expensive cities for buying a pack of cigarettes (with prices around USD$20). If you’re moving to Australia with a smoking habit, it might be time to kick the cigs. If you could measure how much a country loves sport, Australia would probably be off the chart. They might even break the chart, the love is so strong. Cricket bats and rugby balls practically flow through their veins. While the most popular sports by match attendance are AFL, rugby and cricket, the sport with the most players is actually football (over one million players). We should also mention the national obsession with tennis. On top of this, there’s the mighty Melbourne Cup: a famous annual horse race that’s so important everyone in Melbourne gets a public holiday. Add some beach water sports to the mix and you can see that Australia is the perfect place for sport lovers, or even sport likers. Just don’t ever say that you’re ‘rooting for your team’ – ‘root’ means something else over there. Don’t worry, you new Australian work colleagues don’t hate you; all their relentless insults are just part of what’s called ‘Aussie humour’. They like to insult everyone (including themselves) and it’s ok, apparently. Australians also tend to find the funny side of any situation (no matter how unpleasant) so they can often seem quite irreverent to outsiders. Our favourite example of Aussie humour was when a man from Brisbane tried to sell New Zealand on eBay back in 2006. The price actually rose to AUD$3000 before eBay closed the auction. We’re not sure how funny the Kiwis found it though. Hopefully we’ve left you feeling a little more clued up on Australian culture. It’s clearly got something for everyone, but it’s especially good for people who enjoy proper coffee, barbecues and free healthcare. If you haven’t been put off by the magpies and the blistering heat, fill out the form at the top of this page to receive quotes from our shipping suppliers. The outback is waiting for you.